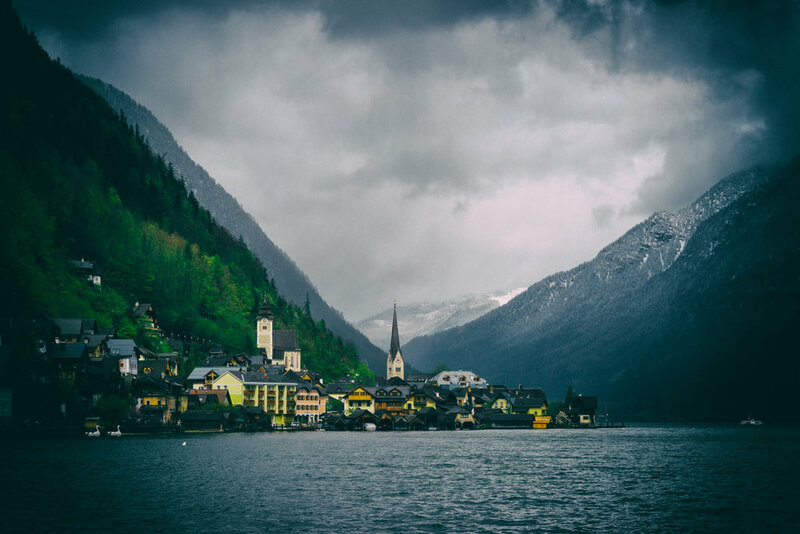 Such a quaint and yet very beautiful little town, Hallstatt Austria really impresses! Despite it's relatively small size, it packs quite a punch visually. We spent most of a day there, and of course I shot it from every angle I could find. I even got snowed on during my evening shoot, but who cares? When you are somewhere like this, you just love the views so much that almost nothing can stop you from standing out there and shooting!